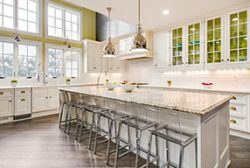 Whether you are looking for countertops, backsplashes, faucets or sinks, Legacy’s showroom is comprised of some of the highest quality materials from around the globe. Without ever leaving northwest Ohio, you can find a large selection of live samples and ready to install marble and granite. Not sure what you are looking for? You can browse on your own, or tour the showroom with one of our experienced interior design professionals. We think you will find it uniquely relaxing among all of our natural materials…just the way it should be. 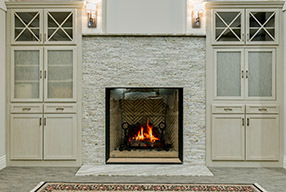 Schedule an appointment for a consultation in our showroom or for a free in-home estimate by clicking “Visit Us” below. We will call to schedule your appointment. The expression ͞everything but the kitchen sink͟ comes from a healthy respect for an essential, yet often overlooked, element of a beautifully designed kitchen. Okay, well maybe not, but the sink is still a key component to any kitchen or bath. Without it, your space loses functionality. With it, your space becomes the envy of all your friends and neighbors. Legacy is so much more than just marble and granite. We hand pick designer faucet brands in a wide variety of finishes to compliment your countertop. Functional yet beautiful, our designers will help you find the right fit for your kitchen, bath or bar. From countertops to faucets, you have come to the right place. When dreaming of the perfect kitchen or bath, you don’t start by worrying about functionality. You begin by imagining beautiful colors and textures that will turn your everyday space into a stunning masterpiece. At Legacy Marble and Granite, we want to make that dream come true, while also making sure that you get the functionality your beautiful new space demands. Let our experts guide you through our endless selection of stunning surfaces while we help you balance form and function with your dream colors and styles. Gone are the days of boring backsplashes in your kitchen. 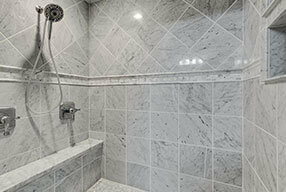 Home owners today have options and it comes in a dizzying array of materials, colors and styles. If you are looking for a beautiful selection of tile to use in your kitchen, bath or bar, you have come to the right place.